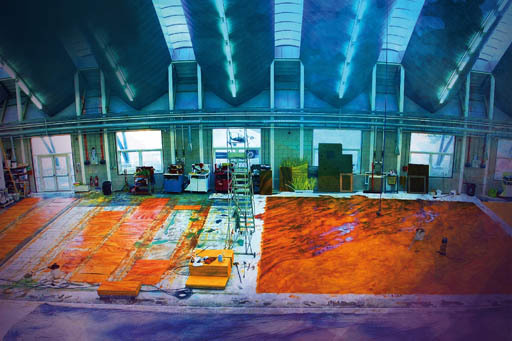 Discover the fascinating world of the scenic artists and craftspeople who create the stunning sets and scenery for the world-famous Royal Opera House on the tour of the Bob and Tamar Manoukian Production Workshop and Costume Centre. High above the surrounding rooftops, the enormous, purpose-built workshop is home to scenic painters, carpenters and metalworkers. Here they make the designers' visions into reality, creating the many different sets that appear in the ballets and operas performed on the stages of the Royal Opera House in Covent Garden. Set in the High House Production Park in Purfleet, amid beautifully landscaped gardens, the Production Workshop is a fascinating and inspiring place to discover the skills behind theatre set construction and design. The Bob and Tamar Manoukian Costume Centre will be the new home to more than 20,000 costumes from the current Royal Opera House repertory, as well as housing the Royal Opera House Costume Collection of approximately 6300 items of costumes and accessories, ranging from tutus and grand opera costumes to body suits, animal outfits, opera and ballet shoes, jewellery, tiaras, helmets, to wigs and beards. Costumes of all sizes large and small, and made of all materials. It is one of the largest theatrical costume collections and it continues to grow as old productions are retired and we are able to select key costumes for preservation. Royal Opera House Collection have opened a new exhibition at the Costume Centre showcasing the ‘daringly garish’ work of costume designer Ian Spurling for his production of Kenneth MacMillan’s The Seven Deadly Sins. 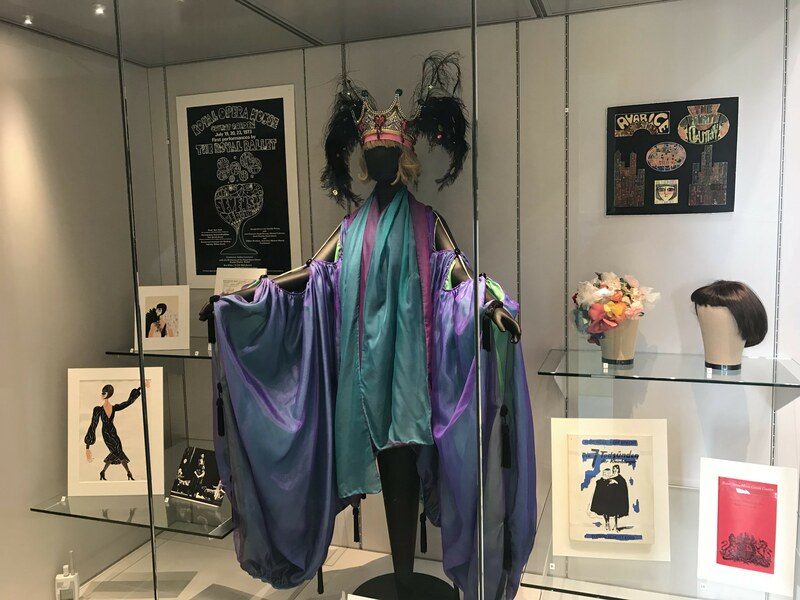 The exhibition includes costume designs, posters, set model pieces, wigs, headdresses and the spectacular costume for the Queen of the Cabaret worn by Lynn Seymour. Kenneth MacMillan’s choreography is notorious for addressing the dark realities of people’s lived experience. The Seven Deadly Sins follows Anna who is sent to work in seven American cities to finance renovations to her family home in Louisiana. As the ballet unfolds Anna’s virtues are tested after being exposed to the cardinal sins of sloth, pride, anger, gluttony, lust, greed and envy over seven years. Kenneth MacMillan’s ballet was first staged at the 1961 Edinburgh Festival by the Western Theatre Ballet (now Scottish Ballet) based on an earlier work by George Balanchine from the 1930s. MacMillan further adapted his 1961 work for The Royal Ballet when it premiered at Royal Opera House on 19 July 1973. The initial critical reception was generally positive. The Sunday Telegraph describing the work as ‘a fun spectacle’, with Spurling’s art deco inspired designs as ‘great fun if a little over-fussy’. The work was only revived once at Royal Opera House. In 2007, William Tucket reimagined The Seven Deadly Sins for The Royal Ballet. The Seven Deadly Sins is an example of a genre of ballet that incorporates both dance and live singing known as ‘Ballet Chanté’. MacMillan’s choreography was set to the music and text by Kurt Weill and Bertolt Brecht. The Seven Deadly Sins explores traditional morality in the context of a modern world, inviting audiences to consider the true cost of the material desires of Anna’s family. The exhibition will be running from September 2018 to July 2019 and can be seen as the part of the Royal Opera House tours at the High House Production Park. To find out more, please visit the ROH Collections page. Please meet at the Coachman’s Café prior to your tour. Tours take place on Fridays at 11.00, 13.30 and 15.00. Tours are bookable between now and July 2017 either online or by phoning the box office on: 020 7304 4000. The Tour will last a maximum of 1 hour 15 mins. Twenty people max per tour. The Coachman’s Café is under the ownership of Grand Events and is serving up lunches, snacks and drinks. If you are a large group of 10 or more people and require refreshments before or after your tour, please telephone the café on 01708 892639 to give them notice. Note: Please do not rely solely on your sat nav to help you arrive, as the postcode alone can be unreliable on some sat navs. It is recommended that you print out the map and the directions to bring with you for reference.